There are six Kids Cook classes remaining in 2009. I have three new ingredient topics for December, each repeated twice a week. 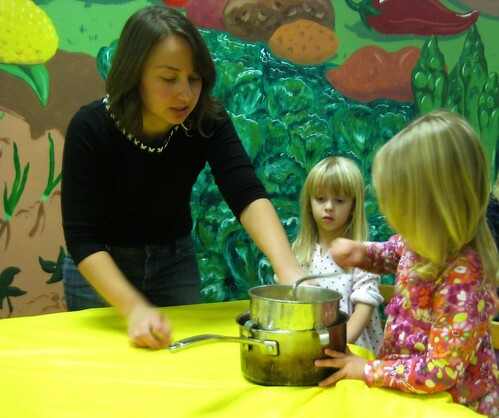 Bring your three to six year old child and enjoy cooking and learning about healthy food! Each lesson will again feature at least one recipe we will make together, a story, and take home recipe card. Each class costs $3 per child. We will meet at Sprout Soup, 4310 N High St. Please email me or comment if you have any food allergies and I will gladly alter recipes.